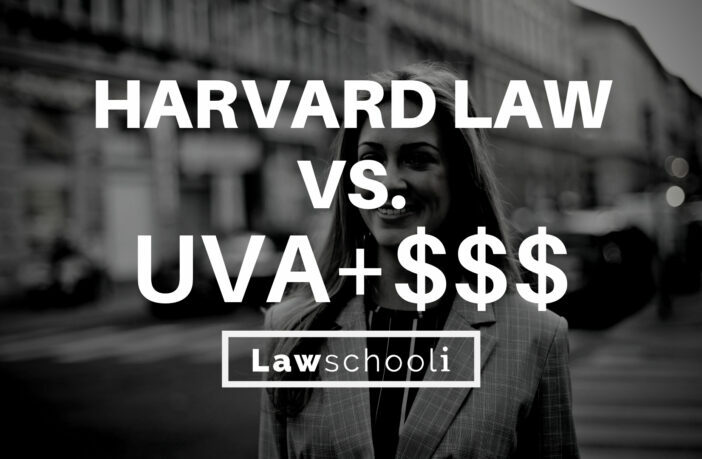 What about full price at Harvard vs. a full Scholarship at UVA? First, I want to say congratulations on having those options. You clearly won the law school admissions game. However, just because you are faced with only great choices, it doesn’t make the decision any less hard. I won’t hide the ball here: there is no clear right answer. You will have to weigh in the balance your personal preferences, and even then it’s going to be a tough choice. So where to begin? One thing that could dictate a clearly in favor of Harvard is if you have a substantial interest in law teaching. Overwhelmingly, law professors draw a pedigree from Yale, Harvard, Stanford or UChicago law schools. While the possibility of being a law professor isn’t totally foreclosed if you go to University of Virginia, it’s so remote that you really wouldn’t factor it into your future plans (note: becoming a law professor is always a long shot, so bear in mind that you have to always cultivate other options). At a greater level of generality, Harvard is going to be the better launching pad if you are planning to take the legal world by storm. You’re in a better position to secure elite clerkships and jobs at the very top firms. There is also no denying the cachet that attaches to a Harvard law degree, which will follow you throughout your career. In terms of lay prestige, a Harvard Law degree is of course without peer, so you have a lot of options even if you wish to leave the law later on. Even if you aren’t the most ambitious person in the world, Harvard may still be the better choice: if you know 100% that you are headed for a big firm job and that you’ll be happy there, I say go for Harvard. Harvard’s placement into big firms is second to none. With UVA, a much larger percentage of the class is going to find employment outside the nation’s largest firms. You should carefully dive in to the hiring statistics for both schools. UVA has top-notch placement, obviously, but they have propped up their hiring stats a little: 94.5% of students were hired into full-time legal position following graduation, but some 14% of them were headed for school-funded positions. Students towards the bottom of the class likely have to do some legwork to procure jobs, something that even the slackers at Harvard (to the extent there are any) don’t have to do very often. If on the other hand, prestige isn’t a major consideration for you, UVA may be the winning ticket. If you go to UVA and get hired into a firm paying market price (a very likely outcome) but don’t have the debt hanging over you, you’ve definitely won from a financial perspective. That brings us to cost considerations. Obviously, not carrying debt comes with a whole host of options that you just don’t have when you’ve got big loans to repay. Going to Harvard Law in this case is like slapping on the proverbial golden handcuffs: yes, you can do almost anything job-wise, but you are kind of stuck taking the high paying jobs if you want out from under that debt any time soon. If some part of you thinks that you might finish law school and suddenly want to explore Asia for five years, obviously you should go to UVA. You could basically pretend like law school didn’t happen for a while, and you won’t have creditors lurking outside your door. That kind of freedom is, truly, something you can’t buy. Some people care deeply about having that freedom. Some people on the other hand wouldn’t miss it at all and know they want to be working anyways. You have to decide which kind of person you are. Bear in mind that with Income Based Repayment (IBR) and Harvard’s LRAP you have options even if you don’t want to take a private sector job. Loan repayment assistance (LRAP) is a program whereby your school pays your loans if you take a low-paying public-sector or public interest job after graduating. Harvard’s LRAP, like the others at top schools, is basically awesome: it has no enrollment window, high ceilings, and you can come and go into it as you please. In other words, you don’t have to do the golden handcuff routine, even at Harvard. Public interest jobs and the like will be open to you and you won’t have to starve to do it. That said, if you know for sure you are going the public interest route, I would certainly recommend going to UVA. You will be more or less as attractive to potential employers in that sector, and not having debt at all beats loan repayment assistance any day of the week. Because it’s such a close call (and there is no wrong answer), I think your personal preferences can and should play a huge role in the decision. Do definitely visit both schools and both cities and get a feel for where you would be happier. This is three years of your life we are talking about here, so you want to be some place you are happy. UVA of course is known for a great laid back atmosphere and a collegiate feel. Harvard is known as the academic center of the universe. Even though you didn’t provide the info, I suspect you have definite ideas about which one will be a better fit. Feel free to weigh that heavily in your choice. 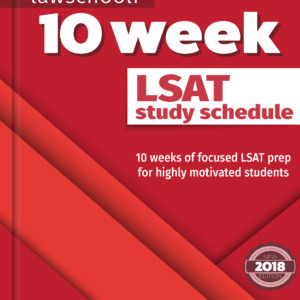 To give yourself a little more grounding before making your final choice, this is a great book for soon-to-be 1Ls: The Law School Decision Game: A Playbook For Prospective Law Students. One of the most helpful bits in there is a chapter that gives you a solid idea what big law is really like, so you can get a clearer notion whether that’s a good fit for you or if it’s your idea of hell. Again, congratulations on the great cycle! Let us know what you pick, and why. It will be extremely helpful to others in the same position. To others struggling over law school decisions, let us know in the comments or use the new Q and A feature, and we will be happy to weigh in! Best of luck. Previous ArticleWill More People Attend Law School Next Year? Here is my situation: UT with about 50% off (in-state offer + merit aid), Georgetown at sticker, or Cornell at sticker. I would love to live in Austin and would be happy practicing there after graduation, but I wouldn’t be as happy in Houston or Dallas (bulk of grads end up there). Austin market is tough. I’d rather be in DC than NY market, but I love Ithaca. Ideally would love to practice biglaw on west coast, Austin, or DC (in that order). Suggestions? Thanks, love the blog. I am really struggling to make a decision between U Chicago (at sticker) and Washington U. in St. Louis with a full tuition scholarship. I am a fairly severe splitter, so while I was also accepted at UVa, Michigan, and Georgetown, I did not receive any scholarship money at those schools. However, I received $15K a year at Vanderbilt, and full tuition at Wash. U. I am not entirely debt averse, but my biggest fear is taking U Chicago at sticker and not being at or above median. How safe is it to rely on LRAP in case my grades are not good enough to land BigLaw? Or, if not BigLaw, could I get a high enough paying job to pay off $300K in loans? Thanks in advance for your help. You all have already helped me in the admissions process tremendously. What about Wake Forest at sticker price (have yet to hear about scholarships), Loyola Chicago giving me 15k/year, and WVU with 50% scholarship? Hello, another prospective, biglaw interested student here.. I think for my long-term goal, I’d like NY biglaw firm slightly more than DC (or about the same? not sure). Not taking scholarships into consideration because it doesn’t seem like I’ll be getting much, should I choose UVA or G-town? I feel like living right around or in DC would cost a lot more.. but I’ve been told G-town will help more if you’re dead set on DC placements. But what about UVA? Help me please Evan & Josh! I have a little trouble believing that GTown really has an edge in DC placements. UVA sends plenty of students to the DC market. My guess is any difference is self-selecting and more UVA students want to go to New York (and have the option to do so). Yes in terms of absolute numbers there will always be more GTown lawyers in DC. They have 2x larger class sizes. That might mean there are a few more Gtown alum hiring partners around, but trust me, any place that’s hiring will be looking at UVA grads as well. Meanwhile, UVA will do much better into NY. I think UVA is the clear choice as between these two, particularly if you can figure out how to get in-state tuition your 2L and 3L year. And yes, COL does matter, a lot. You’ll feel pretty broke in DC on a law student budget. No worries for the late reply and thank you for your sound advices. However, which law schools in the South West (Arizona /Nevada/ Utah) are more cost efficient to eventually practice Entertainment in California? 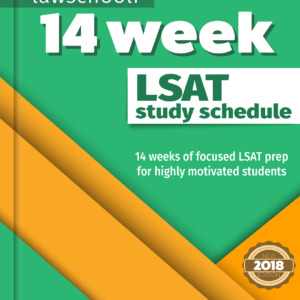 Which law schools do you recommend on the West Coast is the most cost efficient to practice after Entertainment in California? Do you recommend attending Arizona State University/University of Nevada? Note that I am assuming worst case scenario with little or no scholarship. Sorry for the slow response. I hate to be a burster of bubbles, but entertainment law will be a very difficult if not impossible to get into through either of those schools. The typical route to an in-house entertainment law position is through employment with a biglaw firm that handles that type of work. Each of those schools send only a tiny fraction of there grads into such jobs. Even if you make it to a big firm, finding an ent law job is by no means a sure thing. Basically, it’s necessary to develop other interests in the law if you are going to attend law school, as entertainment law is always a long shot. Getting big law in DC is always tough no matter where you go, so far better to go to Cornell where you at least have the NY market mostly in your pocket. I assure you Cornell does better into prestigious jobs in DC as well. However, the money thing can’t be ignored. If you get no money from Cornell it might make more sense to go to GW, where hiring is still strongish. Please let me know what Cornell offers. Hopefully it’s a good package so the decision gets made easy for you. Best of luck and make sure to tell Cornell of your situation if you don’t get enough money. Any thoughts about my situation? It’s pretty similar – I was admitted to Harvard at sticker price and received a full tuition scholarship at NYU. My goal is to work a regulatory practice of a biglaw firm in DC. HLS is better for that, but it’s WAY more money. Any insight? Wow, congrats! Tough decision but great results either way. I have to say that no, I can’t offer any decisive insight on that one, 🙁 I’m placing myself in your shoes and I would have major trouble deciding. I’d say try to really picture how you’ll respond to having debt in your life. Like I said, some people can deal with it better than others. If you are happy with other outcomes besides your specific goal (i.e. just biglaw in NYC) than getting a market rate job with no debt load is a huge win from a financial perspective. I’ll say this: you aren’t going to regret either decision, so try not to fret too much. Good luck with your decision. I’m guessing you know Boston and New York already, but make sure you get to know the school neighborhoods if not. That can sometimes give you clarity. I spent a day walking around Hyde Park in Chicago and that was when I decided that is where I wanted to be. I am trying to decide between 3 schools. I have a 30k per year scholarship at richmond, would be able to obtain in-state plus 15k per year at alabama, and no $ at wake. I have major ties to the Piedmont area of nc and would like to get back to the nc, va, sc region at some point. I’m not sure that wake won’t offer me some money but I don’t think it will come close to the other offers. So there is the question of which is the best choice and how much money would wake need to offer to be a viable option? Really, I’m a huge fan of Alabama here. The school is on the up and up: the five year trend is +15 in the rankings: https://lawschooli.com/2015-us-news-law-school-rankings/. Alabama has strong enough of a national reputation that hiring into the target region should be okay. However, do your research with that. Generally the more alum who are present working in an area, the better a shot you have of going there too. I really don’t think Wake is a good idea unless they were to make it close to the same cost as Alabama. Richmond has substantially poorer employment stats than Alabama, so I’m hesitant to recommend it even at that low price unless you have very compelling reasons to live in that area during law school. Ok so the game has changed slightly now. At this point Alabama has upped their scholarship and Wake has given me a 25k per year scholarship. That would make cost of attendance for Alabama around 3k per year for a 10k total max and Wake around 17k per year for 51k per year total. Again spouse should be able to cover most of cost of living. He does already have a job in Winston-Salem and I have fairly significant ties to the legal community there. Does that outweigh the cost differential at all – or would you still strongly recommend Bama? If you took out all the stuff with your husband’s job I would still say ‘Bama 100%. Still, it looks like all the personal reasons might weigh enough in favor of Wake. It’s too close a call for an outsider such as myself to impose a judgment. I’ll just say this about Bama. I have a friend who chose there on full scholarship (which is basically what you are getting) over several T14s, and I don’t question that decision at all. I’m sure you already know this, but that 51K becomes a lot of money by the time you’ve paid all the interest on it. I think being able to get a top notch legal education basically free is an unbeatable proposition. It’s a great position to be in. Of course, you have to run the numbers with what your Husband can make in NC. It may be that when you two are viewed as a unit, moving to NC now is the better investment. Good luck with a hard decision and please let me know which way you go. I had the exact same decision to make and I chose Wake Forest primarily because of location (I have ties to the area and prefer NC over AL). Would love to know what you decided! I ended up deciding on alabama. It was a really tough decision because I also have significant nc ties. However, I just got a much better vibe from ua throughout the process and decided it would be the best fit. Now the husband just has to find a job! 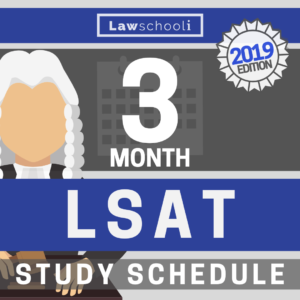 As a side note, this blog had been incredibly helpful through the entire admissions process from lsat to bring a splitter to application process to scholarship negotiation to decision making. If you ever start consulting, I would give the idea 2 huge thumbs up. I think Alabama was the right call here so rest easy. Thanks a ton! I’m glad I could help. Good luck in 1L and enjoy Alabama! I have a situation and I could use some help. I really want to go to UNC, but I know I will be waitlisted based on my numbers. However, I have been admitted to Wake Forest, which is very close in geography and rank. Should I mention this in my letter of continued interest to UNC? It’s generally thought that you should not mention other offers in LOCIs. The more appropriate time to do that is later if you are negotiating over scholarship. What you should definitely do is make it 100% clear that you want to go to the school if you are admitted. However, think carefully before you do this as likely you will get in without a scholarship offer if you are admitted. That said, I’m guessing you are instate and UNC tuition is probably less expensive than Wake Forest.